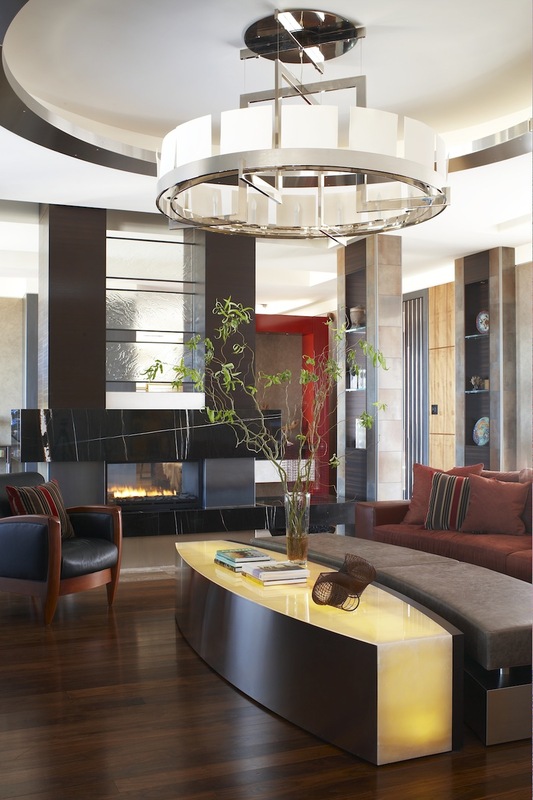 Met any design stars lately? 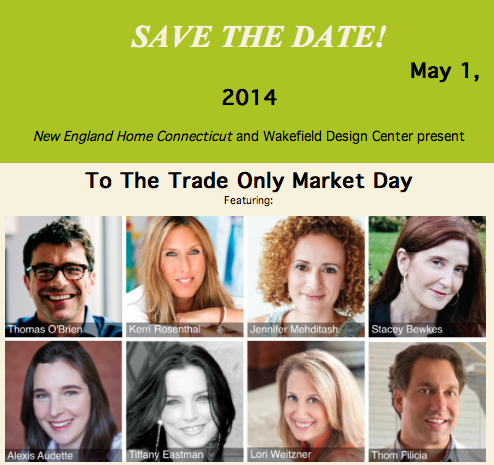 Join me and New England Home editor Kyle Hoepner at Wakefield Design tomorrow for a day full of elbow rubbing with interior icons, artists, industry leaders and nationally known bloggers. 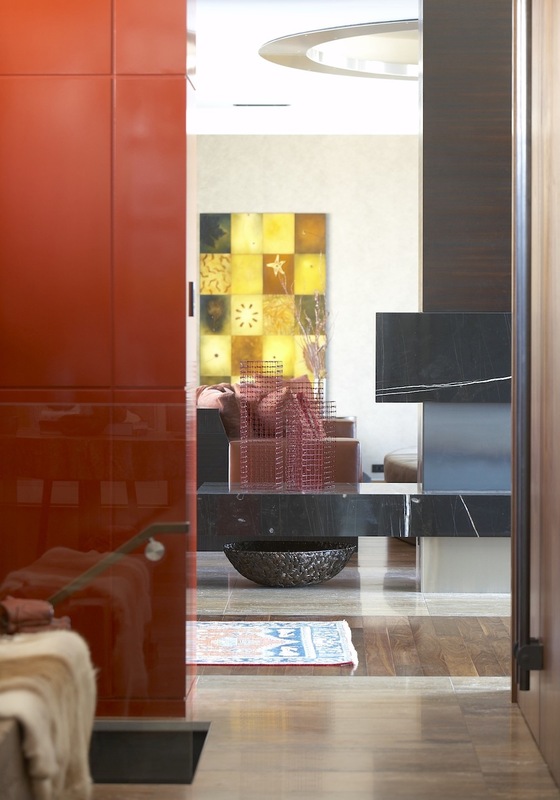 The day kicks off at 12:30 with a personal talk by Thomas O’Brien who has created some of the most pinnable interiors of the last 20 years and created an empire of home furnishings and accessories. He’ll also be signing copies of his book Aero, which was released last fall. Beacon Hill Silks design director Alexis Audette will present new fabrics and then I’ll be conducting a panel discussion with artist designer Kerri Rosenthal, designer Tiffany Eastman and designer/blogger Jennifer Mehditash of Decaporter on building your design business online. 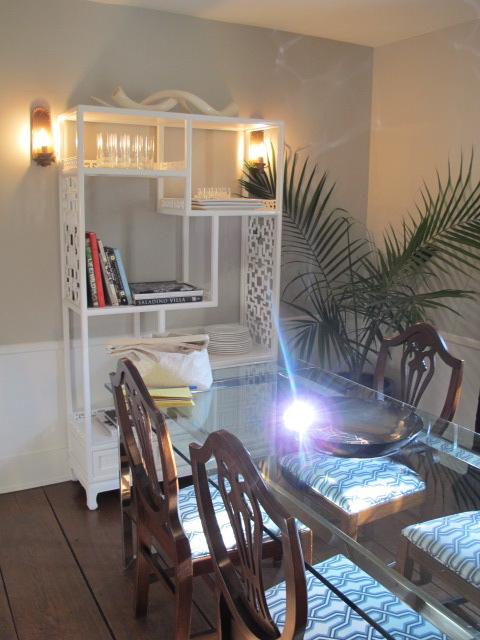 After perusing exquisite passementerie by Samuel and Sons, Stacey Bewkes, known for her blog Quintessence, will sit down for a Q&A with author, designer and TV personality Thom Filicia. 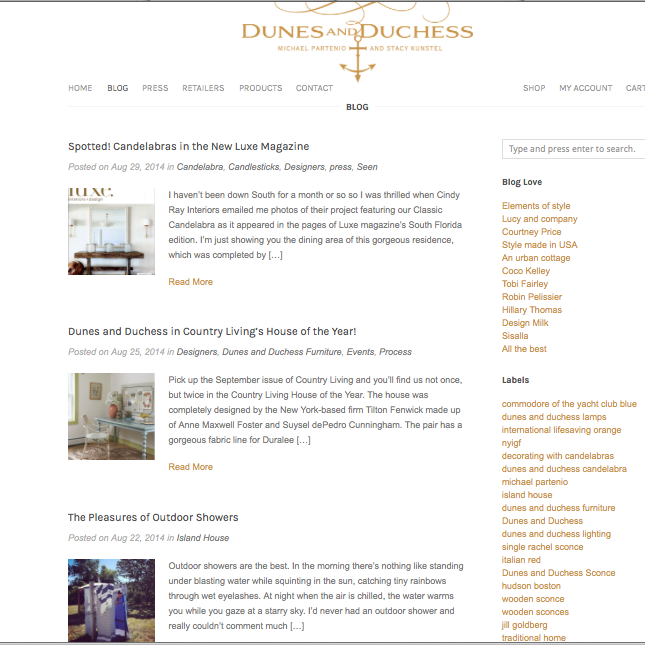 Kyle and I invite you to bring to us any projects you’d like us to review or consider for publication in the magazine. We’ll be meeting with designers throughout the day. To register for the event, email staff@imagesanddetails.com and for more information email info@wakefielddesigncenter.com. I have to admit that I first became friends with Phil Luangrath and then I became a customer. 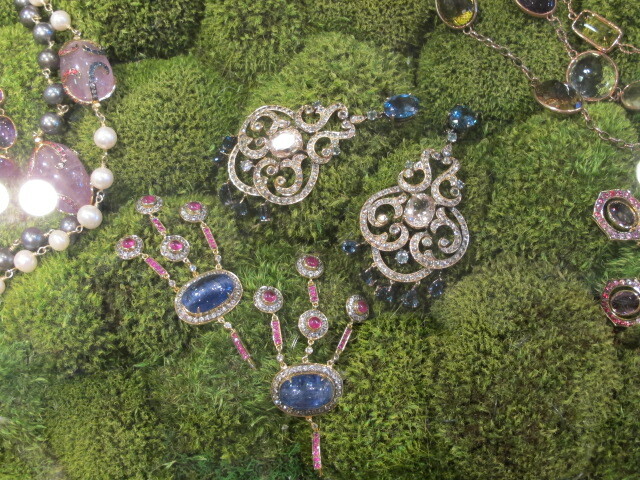 Phil and his partner Favio have a booth adjacent to the Dunes and Duchess booth in Atlanta during the biannual gift show. Over the past couple of years Michael and I have gotten to know them better and now we look forward to seeing them at other shows such as the New York gift show in August and High Point, where we saw them earlier this month. Here is their gorgeous booth in Market Square. 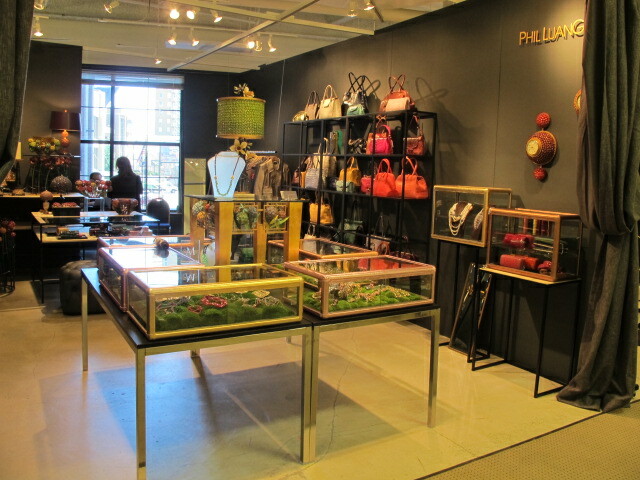 Phil designs and has made the most exquisite handbags, leather goods and accessories. 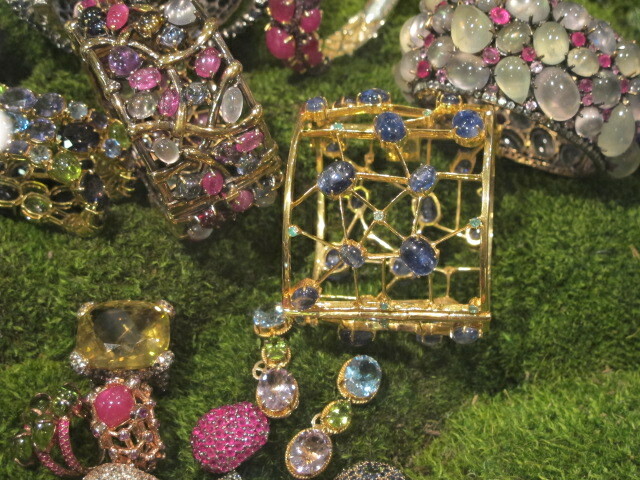 And then there are the jewels, made with precious and semi-precious stones and looking altogether fabulous. 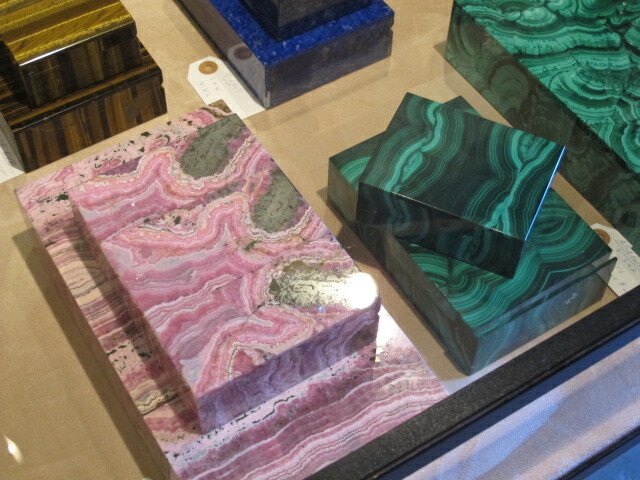 And gorgeous stone keepsake boxes that would look dazzling on a coffee table. There’s also an amazing furniture line that Phil is designing, but I’m saving that for the New England Home blog to use as an Editor’s Pick. Look for it this Friday. 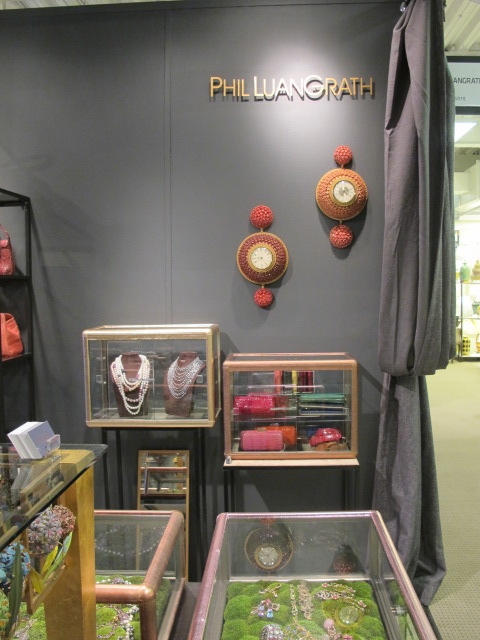 You can also find Phil on Instagram to see what his newest creations are at @philluangrathstore. 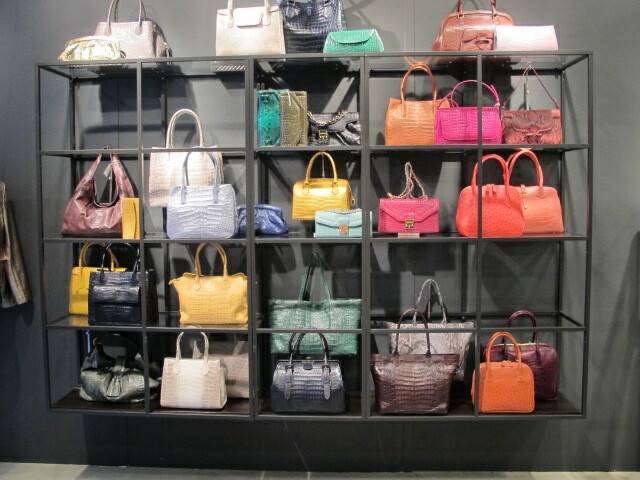 The other day I saw a photo of the new croc bags that look like cerused oak that had been stained black. 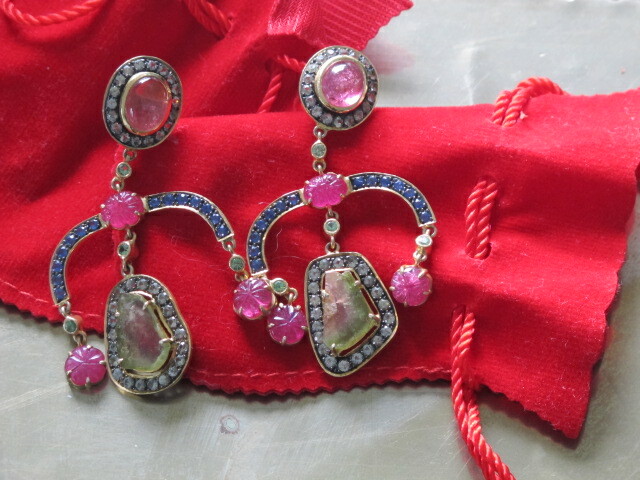 After an dismal Valentine’s Day in 2013, my Michael redeemed himself by presenting me with my own Phil-designed jewels this year. I’ve worn them nonstop since, evening pairing them with a T-shirt in South Beach a few weeks ago. Phil and Fabio have a retail store in New York on 19 Commerce Street (next to one of the hottest restaurants in the city!). I plan to make a pilgrimage this summer and to come back with more than photos! 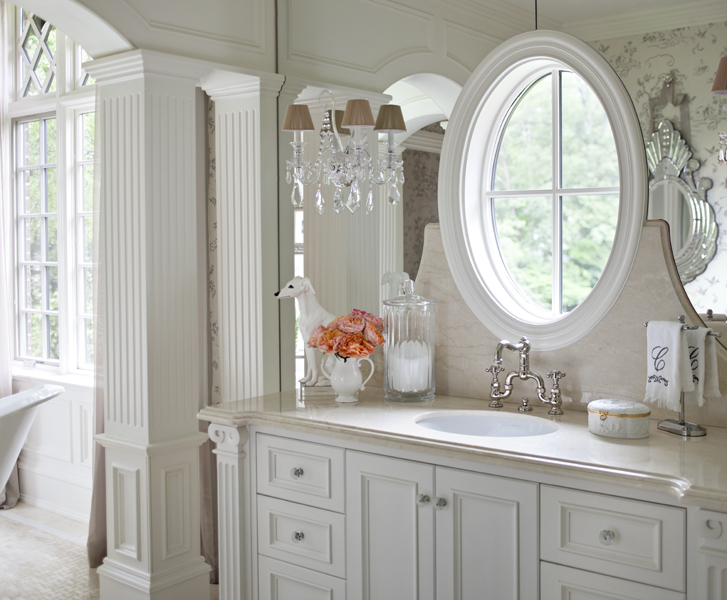 Saturday I posted a favorite bathroom by Anthony Como of Luxe Interiors that I had shot with Michael Partenio for Beautiful Kitchens. It wasn’t the first time I had shot that bath before though. 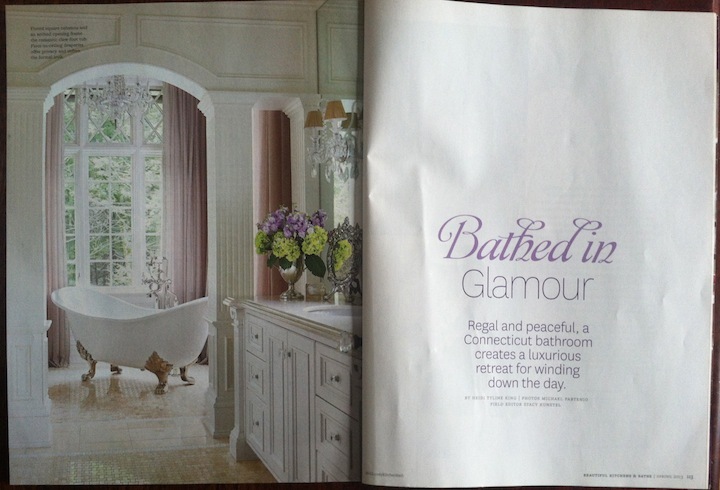 In fact, that same bath ended up on the cover of New England Home magazine the previous year (that’s the only time a bathroom has been on the cover of the magazine ever!). When I styled the house for New England Home it was a whole house shoot, meaning we had one day to shoot a dozen amazing rooms. 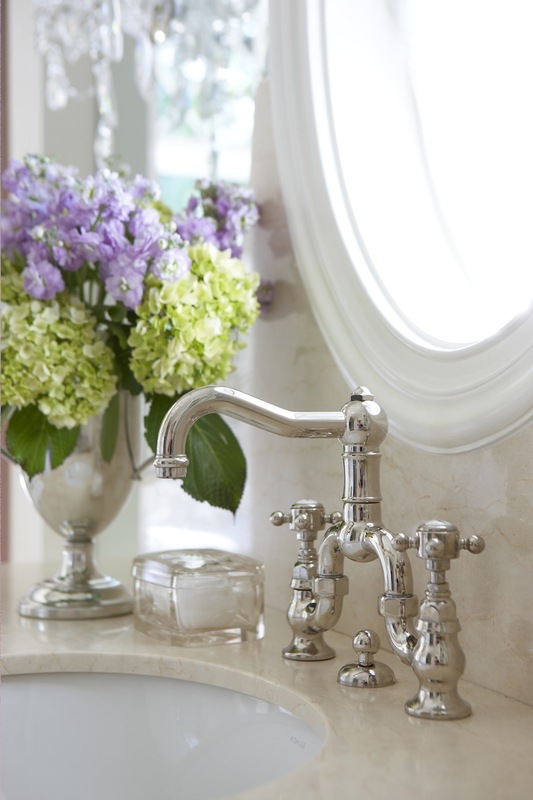 We literally only had about 40 minutes to shoot the bathroom, but my photographer for that shoot, Robert Benson, was able to capture a couple of views, including the one that became the cover. Robert even had time to do this detail of the sheer fabric over the windows (it’s like the finest silk hosiery) and the incredible bead-encrusted trim Anthony chose. Even when we do end up shooting a house for a second publication, it can look incredibly different. The time of year or light might be different. As you can see from both of those shoots, I propped it totally different and your photographer will bring a different perspective as well. Something else to consider is that each magazine has a different audience. I don’t think I had one person say they had ever seen that bath before when it came out the second time. 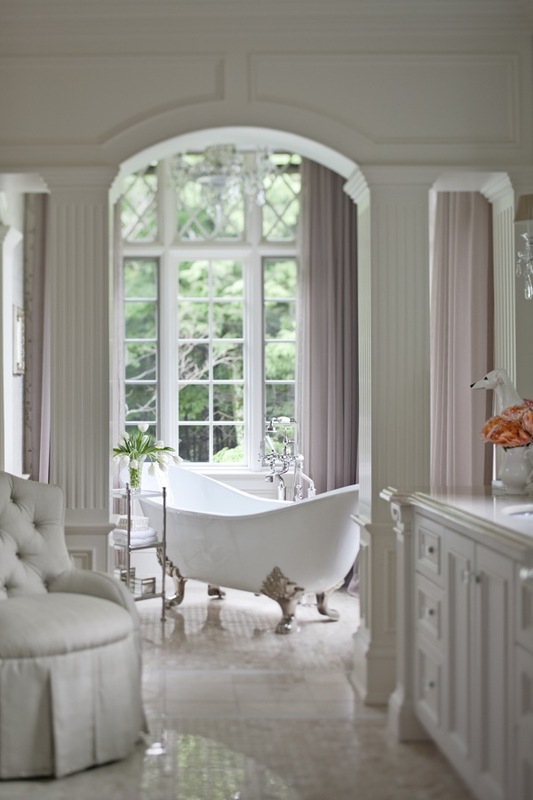 Don’t you wish you had this dreamy bath to call your own? 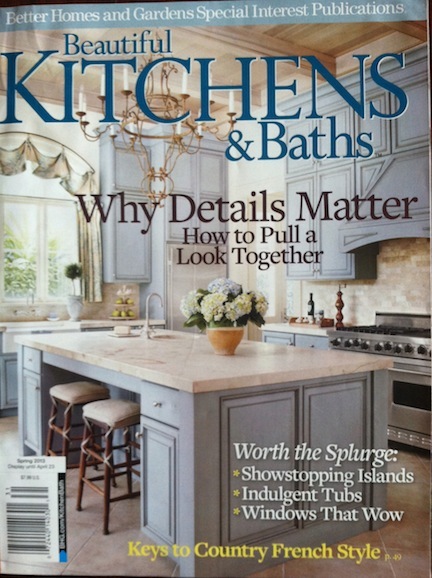 I was digging through my magazine pile and found it in last spring’s issue of Beautiful Kitchens & Baths, a magazine I work for that is published by Meredith Corporation, home to such titles as Traditional Home and Better Homes & Gardens. 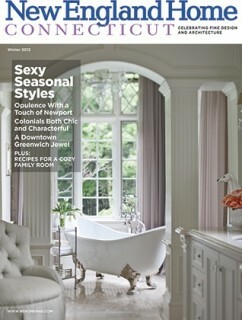 This is a bath designed by Anthony Como that I styled and that was photographed by Michael Partenio for the magazine. Here are a few of our pics and what you saw in print. 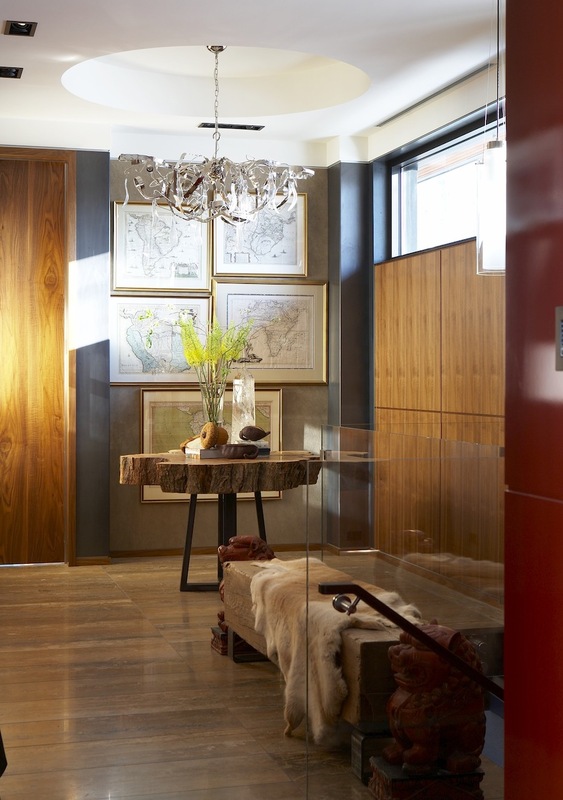 You can see more of Anthony’s work on Houzz. Notice that we didn’t have the purple stock in the photo yet? I added it after I saw this to beef up the arrangement’s color and scale. 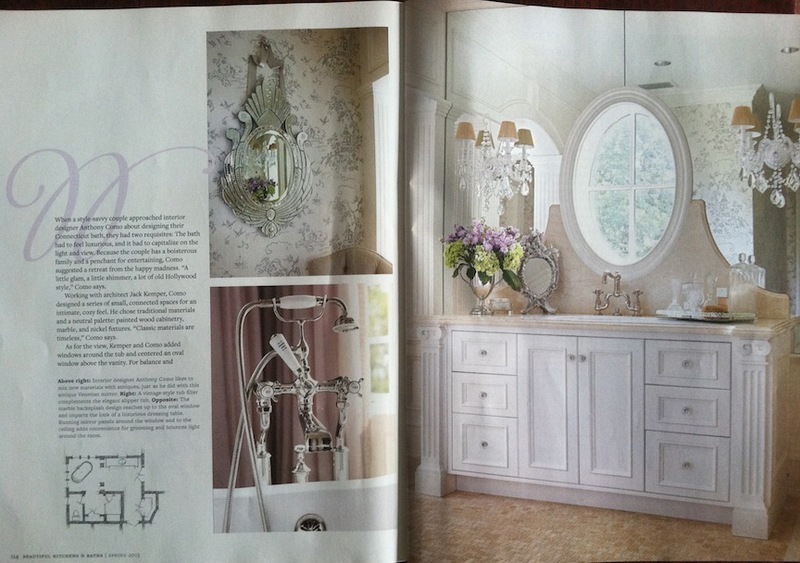 We shot it both ways for the magazine in case they were worried that the flowers might overpower the design. Those are things you have to keep in mind for your art directors. 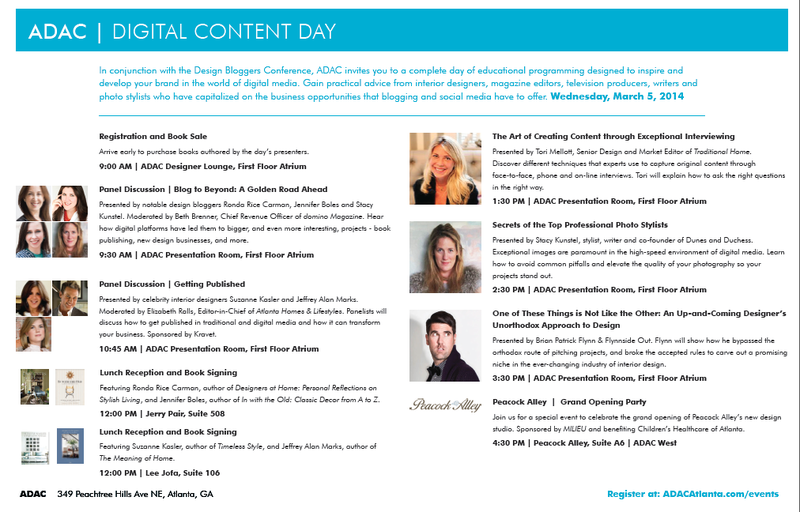 I’m so excited to be speaking this Wednesday at the Atlanta Decorative Arts Center for their Digital Day. I’ll be joining Ronda Carman of All the Best Blog and Jennifer Boles of Peak of Chic on a panel moderated by the publisher of Domino Magazine, Beth Brenner. 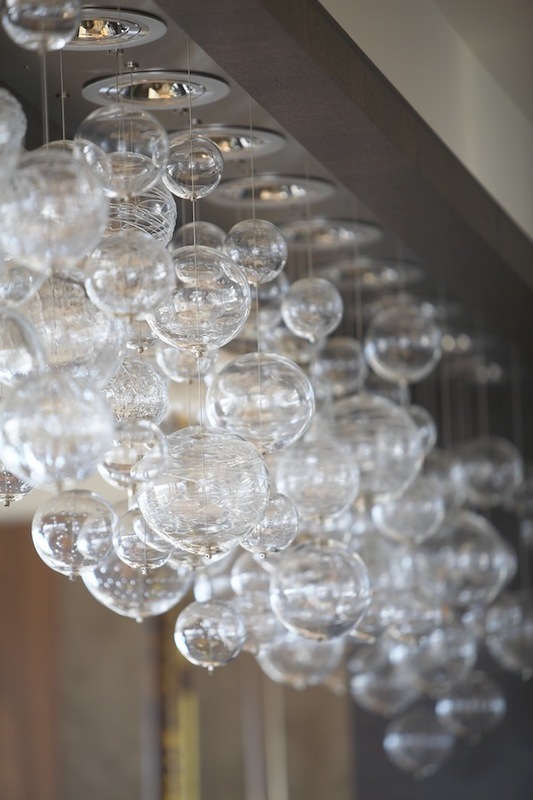 We’ll be gazing into our crystal balls discussing the future of blogging and social media. 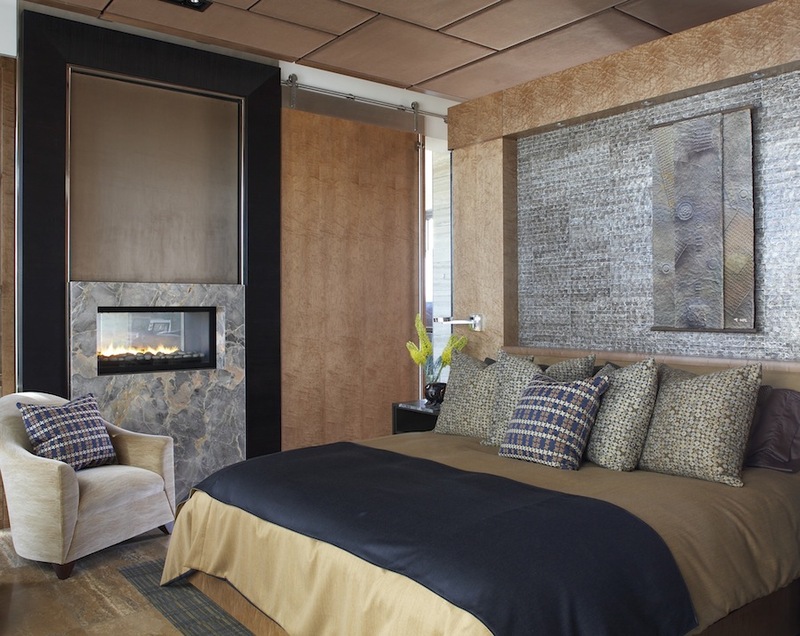 Or other before and afters like these. 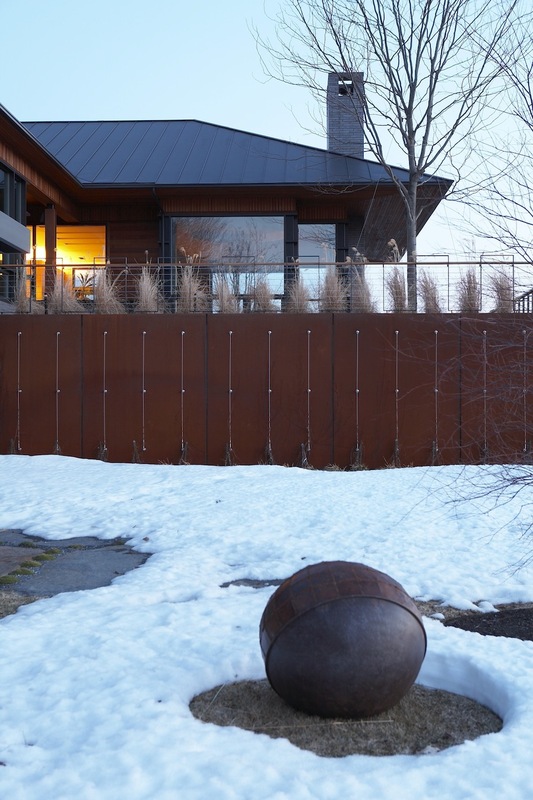 A few weeks ago I wrote about this amazing modern house in Vermont I styled a few years back and that Michael Partenio photographed near Shelburne Farms. 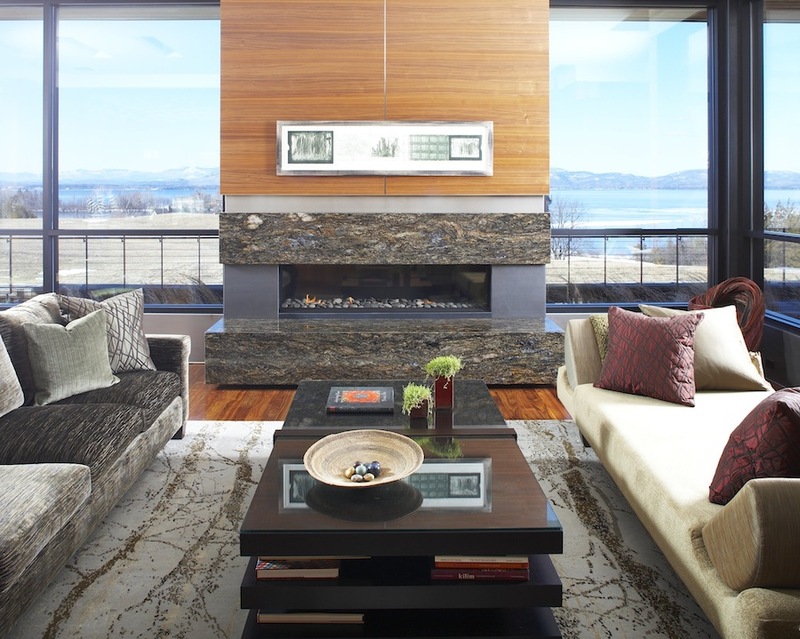 Hats off to the design team of Eric McClelland and Peter Lunney of Toronto-based Fleur-de-lis Interior Design and Birdseye Building Company of Richmond, Vermont. Here’s more. I’m afraid you’re going to have to wait to see the potting room though. I have to admit it deserves its own post! 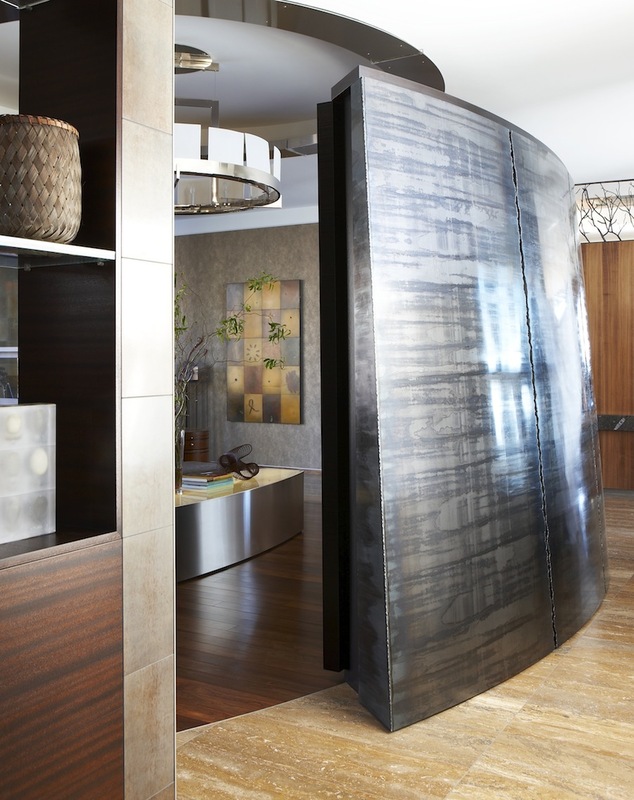 Hallway formed by polished steel wall. 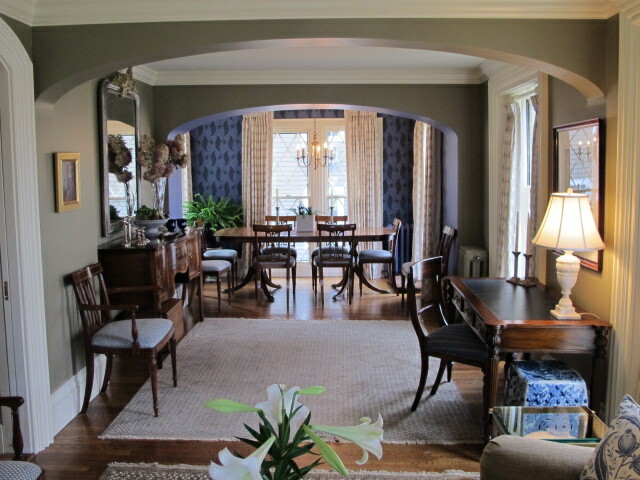 Last Thursday and Friday I was in Vermont shooting with interior designer Rachel Reider. 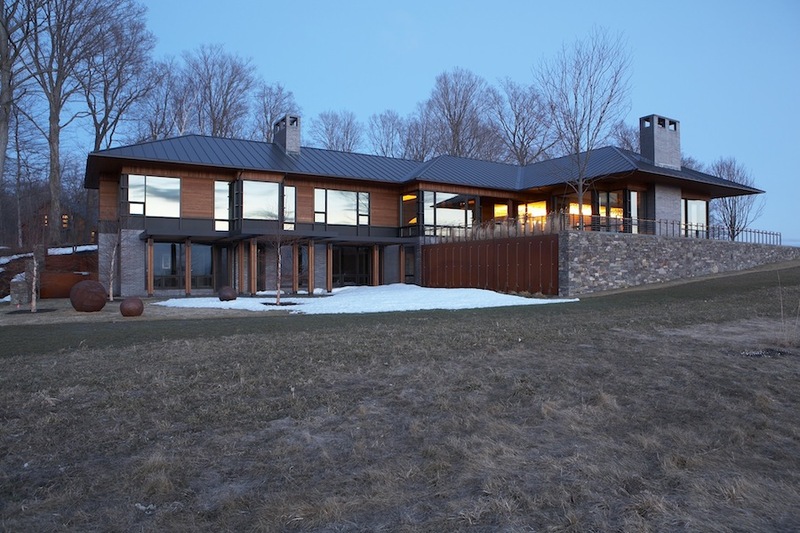 While I can’t show you any of those photos yet, it made me think of a house I shot a few years ago with photographer Michael Partenio near Shelburne Farms. 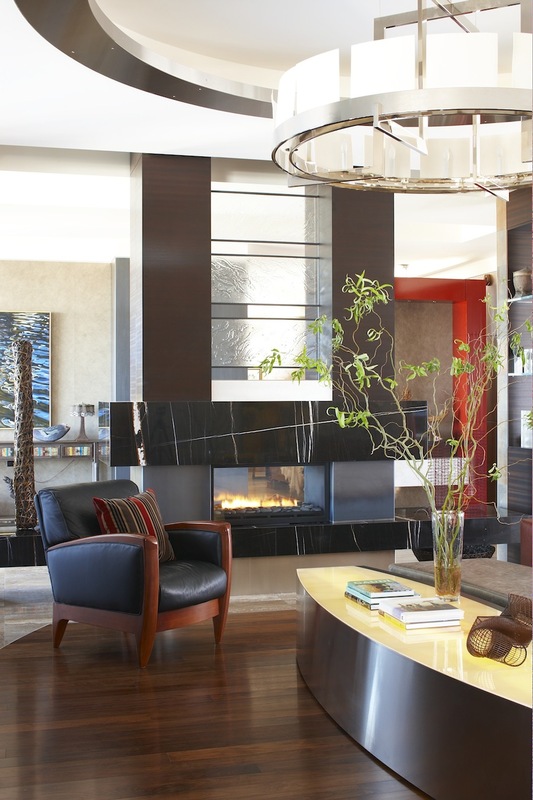 Eric McClelland and Peter Lunney of Toronto-based Fleur-de-lis Interior Design teamed with Birdseye of Richmond, Vermont, to create this of the moment modern house. For the whole story, click here. Otherwise, enjoy the view. Front door with stained glass. 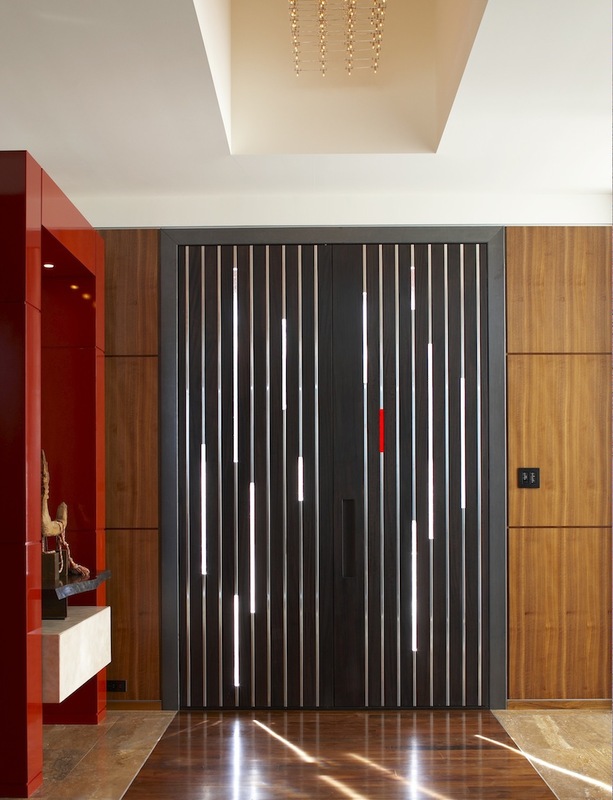 Just off the entry leading to the master bedroom. Yes, there are other photos. More tomorrow, including the best potting room I’ve ever seen! Last week I attended the kick-off for a year-long celebration recognizing Lillian August’s 25th year in business. 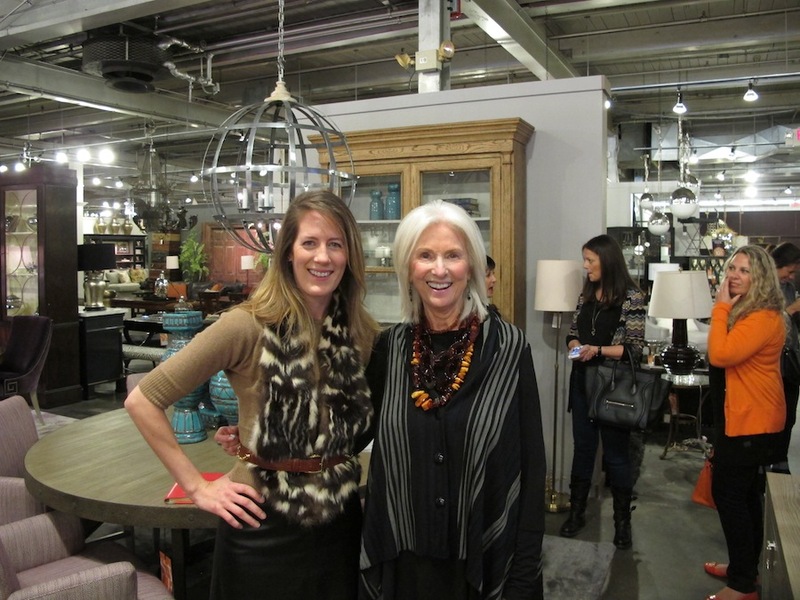 Lillian herself was on hand at the Norwalk, Connecticut, store to talk about her process of design and what she considers important to her work. 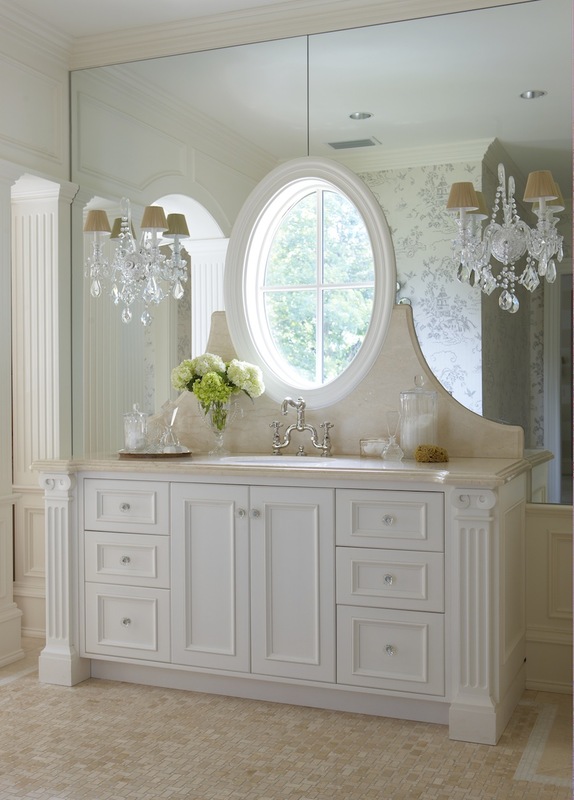 Read the whole post on the New England Home blog. It’s another gray day outside. No green, no blue, no colorful blooms floating on the breeze, just gray. 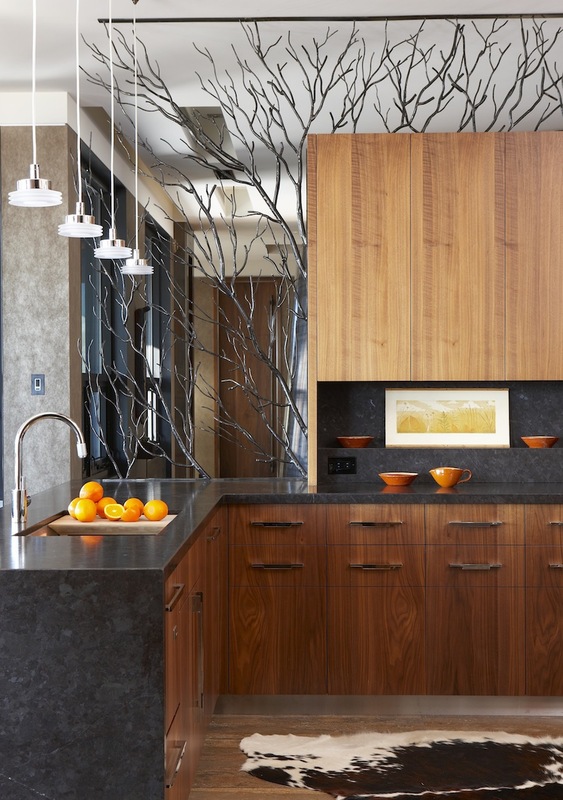 Sort of depressing outside, but oh so beautiful for interiors. 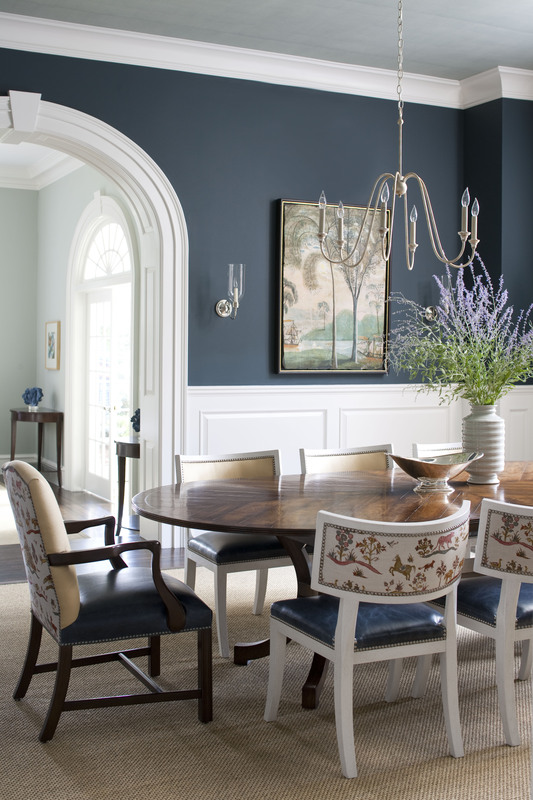 Last week on the New England Home blog I shared a few favorite rooms that make the most of gray. Here’s one I styled below. To see the whole post, click on the link above. 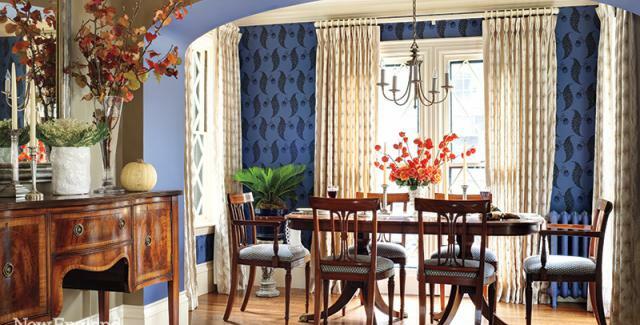 Interiors by Kathleen Walsh. Styled by StacyStyle. Photographed by John Bessler.